Joint CSIR UGC NET Admit Card 2018: The candidates who had completed their application process for Council of Scientific and Industrial Research UGN NET exam and waiting for the Joint CSIR UGC NET Admit Card 2018 has published this is the good news for everyone. The organization has uploaded the candidates admit card or Hall Ticket for the examination on 17th June 2018 through their official website www.csirhrdg.res.in. Every year it releases the massive count of openings in the CSIR, in this year also issued the recruitment notification for the year 2018 for Junior Research Fellowship. For this, the candidates must need to qualify the National Eligibility Test, and it conducted all over the country. The Sarkari Recruitment have provided the link to download the Admit Card or hall ticket for the examination at the end of this page. So we advise every candidate will download the admit card for writing the exam. For more information, on the candidates need to visit the official website. The more details of Joint CSIR UGC NET Admit Card 2018 has provided below. The Council of Scientific and Industrial Research examination council has released the Joint CSIR UGC NET Admit Card 2018. As per the information from the organization, the examination will be held on 17th June 2018. Aspirants can also see the results of the various examination in Sarkari Result. Every organization had released the hall ticket 10 or 15 days before the examination. In the same, the Joint CSIR UGC NET Admit Card has published. The result release date will update soon on our website. The admit card is very important for the candidate. Because the admit card has a detail like a Candidate Name, Exam name, Exam Center Name, Center Code, Signature of the candidates, Signature of Exam Counsell0r and other important information. That why the management of the examination will not allow the candidates without the admit card to write the examination. The interested candidates can also check the All India Exam Admit Cards in one page in this article. The more details like Notification, Admit Card Details, Selection process, Important Dates of CSIR UGC NET Exam, and steps to download the admit card given below. The below table has a details of CSIR UGC National Eligibility Test Admit Card information like Organization Name, Exam Name, Job Name, Admit Card date, Exam Date, Official website of the organization.details of CSIR UGC National Eligibility Test Admit Card information like Organization Name, Exam Name, Job Name, Admit Card date, Exam Date, Official website of the organization. For every examination process, the hall ticket or admit card is the necessary document to carry to the examination hall. 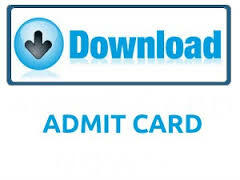 Admit card contains the details of candidate and examination details. After downloading the admit card applicants need to check all the details which are printed on the admit card. Without the hall ticket, it is impossible to write the examination. Admit card have to submit at the examination with a duly attested photograph. The attested photograph of the candidate needs to be a recent photograph. The details of the candidate should be same in both of the documents and the admit card. Joint CSIR UGC NET Admit Card 2018 or hall ticket is mainly used to find the bogus candidates who are appearing to the examination without registration. The candidates need to attest the photograph in the provided space on the hall ticket or admit card and on the documents. If the candidate fails to submit the admit card and the documents with the attested photograph at the examination hall, then he or she is not allowed to write the examination. Candidates need to save the admit card soft copy because the link to download the admit card will expire soon. So applicants need to save the admit card up to results was declared. For the candidates, the Sarkari Recruitment Have provided the examination center location and Centre code in below table format. Each and every candidate must carry any document in below mentioned along with admit card for security purpose. Without proof documents, the management of the examination will not allow into the exam center. The candidates need to open the web portal,www.csirhrdg.res.in. Search for the Joint CSIR UGC NET Admit Card Link. Click on the link candidate login page. Enter required details like Email or Username, Password, Notification data and Security code. Click on the submit button to display the Hall ticket on the screen. Download the Joint CSIR UGC NET Admit Card and take the printout to submit to the exam center. Through this article, we have provided the Joint CSIR UGC NET Admit Card for Junior Research Fellow positions, and it hopes it will more helpful to all applied candidates. Just leave a comment on below comment box. For more updates click on Sarkari Recruitment. Thank you.